Kids can cost a pretty penny, but most of us want to give the world to our kids. According to the calculations at Moneysense.ca, the average parent is spending $1,070 per month on their children for all the essentials, activities, childcare, food, health expenses and clothes. That number is a detailed look at data from Statistics Canada and does not include extras such as birthday parties, allowance, presents or fun days out. I take my kid out for surprises, or even the occasional indulgent “Pink Frap” at Starbucks. 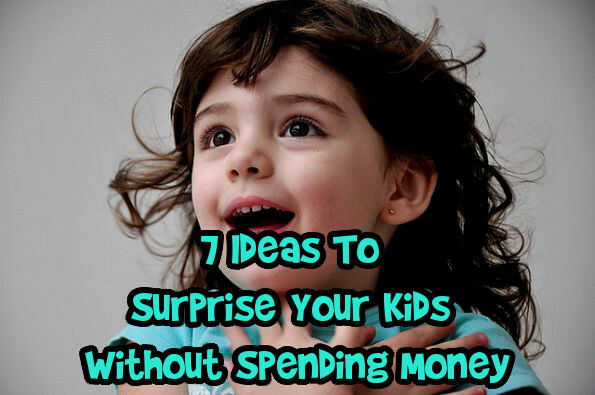 The reality is there are plenty of ways to make your child’s day without spending tons of cash. Bellow I have detailed some of my favourite ways to surprise my kid and add a little fun to our week. I started this idea off and on when my child was very young. When she was two, I would occasionally stuff a Fisher Price Little Person in her pocket. This meant I always had a little toy she could play with. We did have one casualty. Our Wonder Women figurine must be off fighting crime somewhere. I quickly learned that it was even better when my daughter found the figurine herself. The giant smile on her face when she found it would light up my day. Now that she is bigger, I occasionally stuff her pocket with a little surprise. A box of raisins, a stretch dinosaur, a sticker, or even a small heart I cut out of construction paper were all big hits. No need to spend lots of cash, you probably have plenty of random items forgotten from birthday party loot bags or other events you have attended. Now is the time to dig one out and stash it in the pocket of their fall jacket while they are not looking. This is a great surprise to do during the summer months for the bigger kids. Invite one of your child’s favourite friends to spend the night. The trick is to talk to the friend (and the friend’s parents) and set up the sleepover without your kiddo knowing they are coming over. I can guarantee when the surprise friend arrives on sleepover day, there will be much excited laughter and big grins. Anyone can slip a little love note in their kids lunchbox. Some parents take this a step further like the dad who draws a full-colour picture on his son’s lunch bag every day as featured on Buzzfeed. I am somewhere in the middle between these two ideas. I have done the love note and am nowhere near talented enough to draw. Instead, print off a funny picture and slide it in your kid’s bag. Maybe it is a picture of a family trip over the summer, a picture of the family or just another good family memory. You can also take a quick selfie making a funny face. No matter what you choose to do, surely your kid will have a big smile on their face when they head home. Create a scavenger hunt for your child with a fun surprise at the end. Maybe they find a coupon for their favourite dinner, some freezie pops, and a container of water balloons in the backyard or their favourite stuffed animal doing something silly. The suspense will add to the fun and make a little treat seem all the more special. Find a fun place to spell out your child’s name for a fun surprise they will not forget. Maybe your write in on their mirror, or spell it on their pancakes. Take some rocks and spell their name in the backyard. Wherever you choose, make sure it is in an easy and obvious place for your child to stumble across. I did this once for my daughter on our fence with chalk. She spent a large chunk of the day adding flowers and other drawings to the very large version of her name on the fence. This idea works well on a birthday but is an even bigger surprise on an ordinary day. Pick up a pack of balloons at the dollar store and blow them all up while they are sleeping. When they awake, they will be in a colourful wonderland. 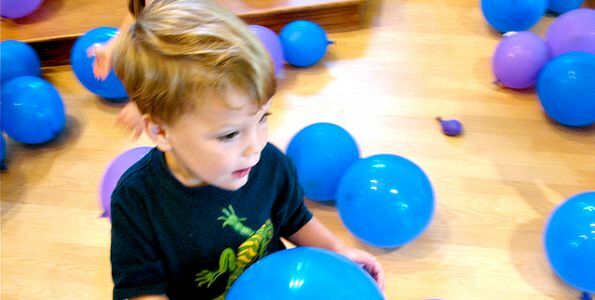 If you have a small child, you can also blow up a few water balloon sized balloons and throw them in their bath for a funny and memorable bath. Celebrate backwards day and watch the giggles take over. Say good night instead of good morning, wear your clothes backwards and even walk backwards. Try having a little friendly competition and find out who in your family can skip backwards, crawl backwards and hop backwards. Read a story together, but read it from the back to the front. With older kids, try telling a story together by starting at the end of the story. You kids will have fun trying to figure out more things they can do backwards to join in the fun. Bargainmoosers, what little things have you done to surprise your child without spending money?